I often join in with TRC events to help them raise money so no surprises that I’m mentioning them again (seriously, they’re awesome). 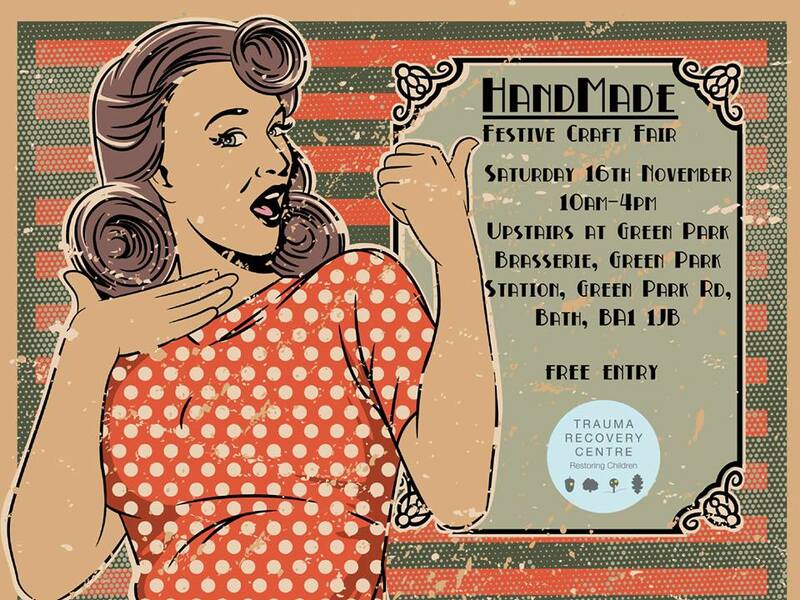 This Christmas they are doing a craft fair sort of thing in Bath and I went to the same event last year and it was amazing! The venue is new but the crafters are really really good (one of them made my tardis journal for me). And, on top of all their usual awesomeness, I’m also going to be there signing print books, including the new Sherdan series. A percentage of everything the stall holders sell will go to the TRC so it’s a great way to do some Christmas shopping and give to charity, all at the same time. And yes, I am doing this in the middle of also trying to do 60k for NaNoWriMo, which just makes it all the more epic. You never know, if you come along you might even get to have a sneak peak at the book I’m writing! Anya is the secondary/supporting character in the Sherdan series. Somewhere between a third and two fifths of the chapters in the Sherdan world are from her point of view. Anya is probably the female character of mine I like the least (of the good protagonists anyway). I don’t dislike her, not by a long way, but I don’t get many warm fuzzy moments over her. I do respect her. Life for her in the first two Sherdan books isn’t easy. She gets tortured, imprisoned, almost raped and plenty of other stuff on top. My biggest problem with her is that she’s religious, and yes I know I’m going to have to explain that. I don’t mean religious as in, believes in God, I mean religious in the sense of someone who believes in God and then acts a certain way because they think they are meant to rather than is actively trying to follow Jesus because of a conviction and emotion or belief in something born from experience. Sort of how we all brush our teeth, because we are told it’s good for us, we do it twice a day. Sometimes I forget to do it and I feel no guilt, I just do it because my parents said I was meant to and for the most part I take their word for it. There’s no engagement on my part. For the most part Anya is like that. She has been brought up to believe in God and it isn’t until she’s tortured that she starts to work out there’s more to God than just doing what he says. Because of this ‘religious’ attitude to her faith she lacks in the ability to understand Sherdan and his problem with her way of life and the downsides of this form of Christianity. Thankfully she gets better during the books. There’s still a bunch of stuff she will and won’t do but she starts to get a feel for the concept that she’s on a journey with God and she has a unique purpose she’s meant to work out with Him that involves more than just going to church and being a good girl. She has to think for herself, tackle big things and seriously think about loving someone who’s not got the same faith background as her. In short she has to decide what matters to her and what doesn’t. While she’s trying to work all this out she sort of screws things up a bit with Sherdan. They love each other and I think that’s fairly obvious from mid book 1 but she’s a bit shocked by it and it presents her with decisions she never thought she would have to make. She also discovers that being a ‘good’ Christian isn’t always black and white. She doesn’t want to allow someone to have sway to potentially tempt her out of her belief system so she isn’t kind to him and then she realises she’s being judgemental, which is wrong as well. It’s tough to find everything you’ve spent your life believing is off centre and not quite know how you’re meant to be treating people. As a result of these problems she yo-yo’s quite a lot between being nice to him and pushing him away from her. 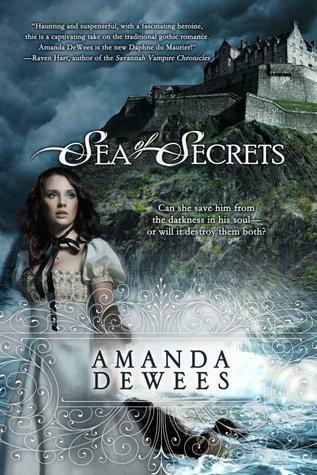 It isn’t until book 2 where she realises it’s not right to shut him out because he doesn’t believe exactly what she does that she starts to allow him the respect he deserves. Although none of this is helped by how controlling he is as she’s well aware she belongs to God not to anyone else. I think I’ll like her more as the books progress. I’m sort of hoping she mellows out a little, actually learns to trust God and allow Sherdan into her life properly so she can show him the good sides of her faith rather than all the sucky things that an imperfect faith can exhibit. Of course, he also needs to learn to trust her. I grabbed a copy of this eBook when it was free about four months ago as I was intrigued by the blurb. This book made me very sad. 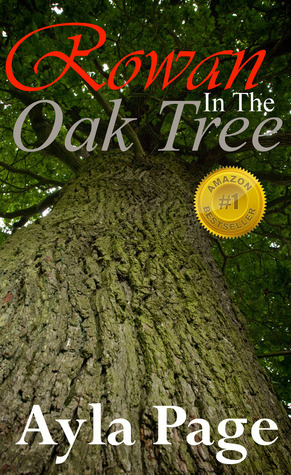 It’s a great little story and very well written but it doesn’t have a happy ending. It’s a tough subject to write about but this is one of the few books I’ve read about this kind of thing that really had me emotionally engaged. With books like this it’s very hard to make people feel for the main chracter because they’re already in the ‘hell’ and suffering before the book begins but the little bits of thoughts and Rowan’s outlook on life made her easy to relate to. My only little niggle was the ending. I felt there should have been a little bit more before the very end bit, to show the ending happening, before we’re told the results, but otherwise I think this was masterfully told. This is the third book in the Song of Ice and Fire series (otherwise known as the Game of Thrones books) by George R. R. Martin and is so huge they had to split it into two volumes to print it economically. So I enjoyed the first book, liked the second one a little bit less and sort of love and hate this third one. I think it’s the best in terms of storytelling and action. It’s got a nice pace to it and lots happens, which is great, but some of the stuff that happens left me a bit cross. Most people who’ve heard of this series have usually also heard that there is a lot of death, and I really mean a lot. And this book is definitely no exception, in fact I think it’s the worst. There’s a lot of deaths and I can sorta accept one or two in a series. These people are doing dangerous things, so they’re going to die and I can sorta accept one or two more than that because this is a rather realistic series where there’s more everything that’s bad in the world but there are tooo many deaths in this book. My favourite character is still Jon Snow but Tyrion comes a close second, although Walder Frey is now my most hated character (previously Joffrey). And maybe that doesn’t help with my attitude towards the book. Jon and Tyrion are the characters everyone else loves to try and screw over. I guess I’m truly British in my liking of the underdog. 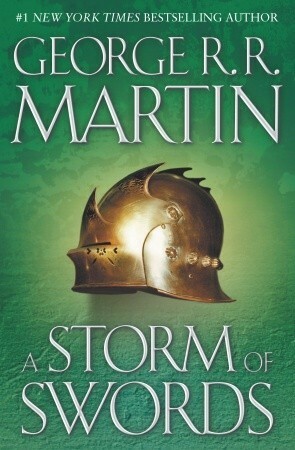 I do have a lot of respect for George R. R. Martin after reading this book and trying to write my own epic fantasy though. I could never have written this book. I’d have spent the entire time crying in a pile somewhere with grief over all the characters I’d just mercilessly slaughtered. I know thinking of books as babies is a rather odd concept but bear with me while I explain. To start with, the ideas come to me in a small form, often only snippets of what they are going to grow to be and it can take a while for them to fully form. Some take a few weeks but some, like Chains of Freedom, take many many years before I’m ready to think about writing a first draft. The first draft is sort of the easy bit. It has its struggles but it’s a process of getting to know my characters and putting shape to what has been in my head somewhere for a while. Then there’s the drafts that follow, full of the tough stuff, where I try to get things formed just right so it’s going to be understood better by the rest of the world and not offend people or seem rude and uncouth. And then finally, I get to the point where I have to let it go. Where the story and characters have to go out into the world, and although I can help them a little with some basic marketing, they have to find their own way, make their own friends who talk about them and share them with other friends, and I can only really sit back and watch and hope they do good and people like them, but I can’t do anything about the people who inevitably won’t like them. My work is done and as much as I might want to take them back in and try to perfect them a little more, or correct mistakes I made, I have to trust I did my best and let go. On top of that, there’s everything I’ve learnt about being a parent, especially where my characters are concerned. I’m fairly used to getting weird looks from people who don’t write fiction when I talk about my characters. Mostly because I talk about them as if they are real people and for the most part they do feel rather real. I have conversations with them, they have family, past events, likes and dislikes, they feel pain and joy and all the myriad of emotions we feel too. Also, during the stories, when they are hurt and cry, I almost always cry too, and when they grieve for dead characters I grieve too. When they make mistakes I feel sorry for them, and I get excited when they get something right and make a good decision. I cry happy tears when they fall in love and have their dreams come true. My characters and my books are my children, and I’m sure I’ll feel all these things even more when I have children of my own, but for now, I’ll keep birthing characters and their stories.